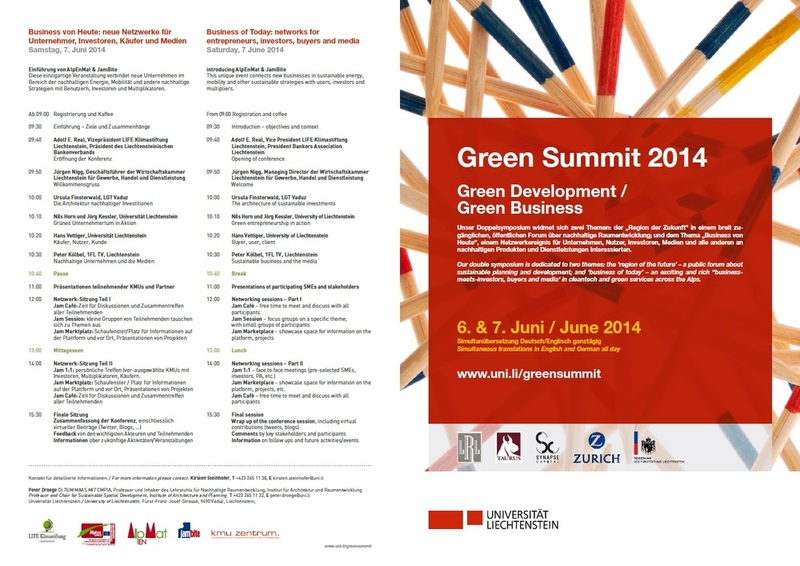 The annual Green Summit conference in Liechtenstein connects new initiatives in the area of renewable energies, mobility, food resources, agriculture and other sustainable services with users, investors and the media. The Institute for Global Leadership (IGL) at Tufts University developed a carefully, integrated, multidisciplinary program called EPIIC (Education for Public Inquiry and International Citizenship). Through its innovative and rigorous curricula and projects, EPIIC prepares young people to play active roles in their communities, whether at the local, national or global level. IGL sets up an international Symposium every year, focusing on important global challenges. The 2005 Oil and Water Conference dealt with the vital resources of oil and water on the planet.